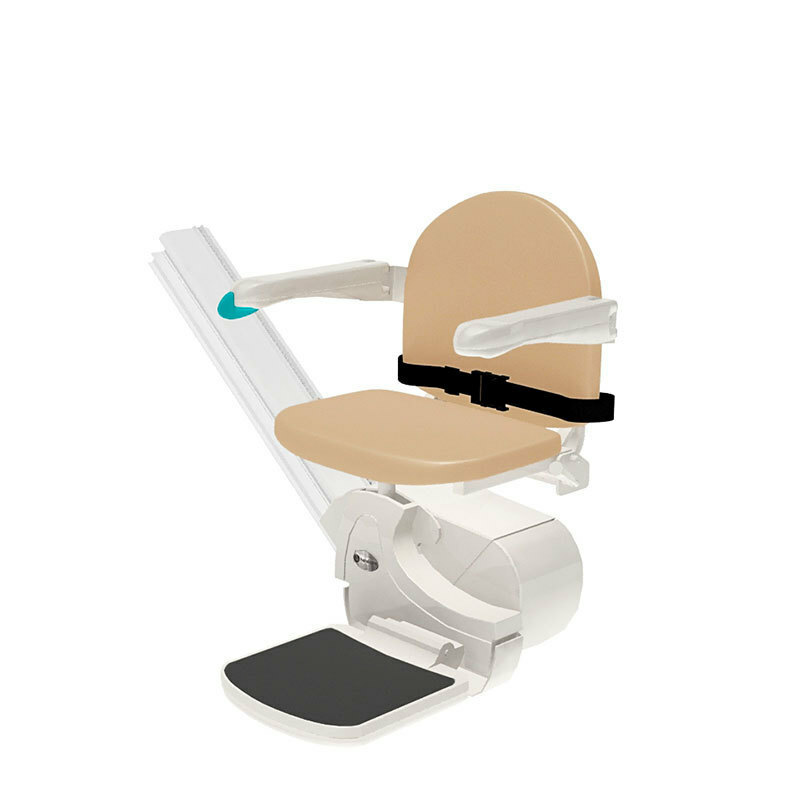 Our economical base model, the 950 Simplicity stairlift is everything but. For an entry level solution that will save you money without any detriments to safety or quality, choose the 950 straight stairlift. The 950 includes all of our dependable standard features, such as the manual swivel seat and manual folding footrest while still maintaining a slim profile of only 11¼” from the wall when folded. 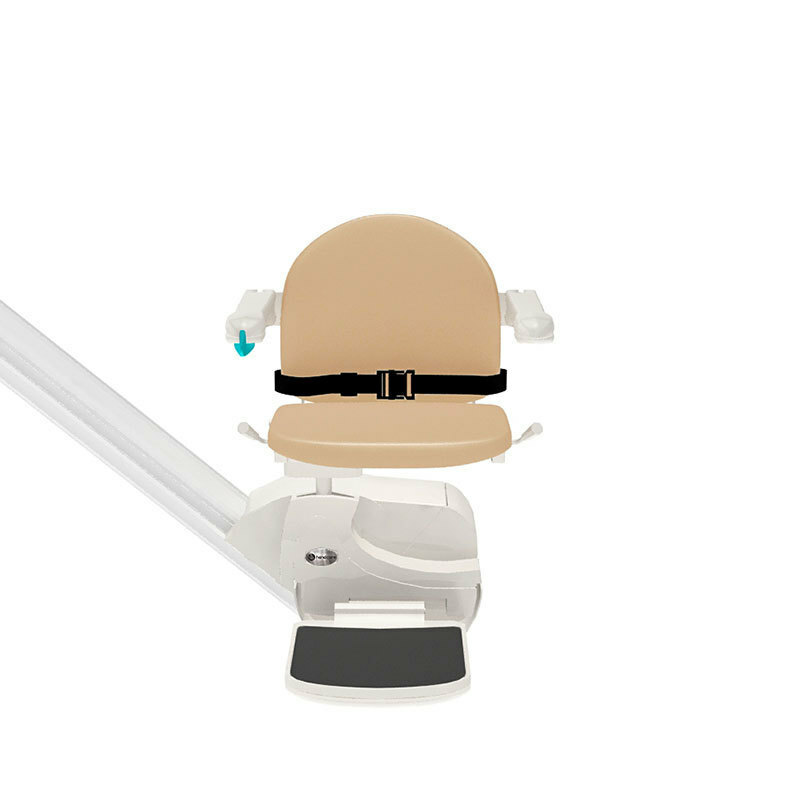 To ensure operation of the stairlift would be simple, we collaborated with occupational therapists to design a ergonomic toggle that could be controlled by all users, even those with joint problems, such as arthritis or rheumatism. The upholstery is available in a sand-colored wipe clean and flame retardant fabric. A roomier version of our 1000 model.